I reluctantly listed the days left between now and when I fly out on a sheet of hotel stationary. Time to figure out how to get back to Rome and make my flight. Suddenly there is more to do than I can possibly fit in. I have to pick. Of course there are no bad choices. The business of figuring out how to get myself back to Rome took the better part of the afternoon. In between emails, I would head out and spend a couple of hours with my head craned back taking in Ravenna’s incredible 5thcentury mosaics that light up the churches in the city. This early Christian art is all about light. The faces on familiar saints and icons are somehow more compelling and human than the dark medieval paintings, even though they are made of stone. This is the incredible time in history where the Greeks and the Romans and Byzantium collide … and they met here in Ravenna. 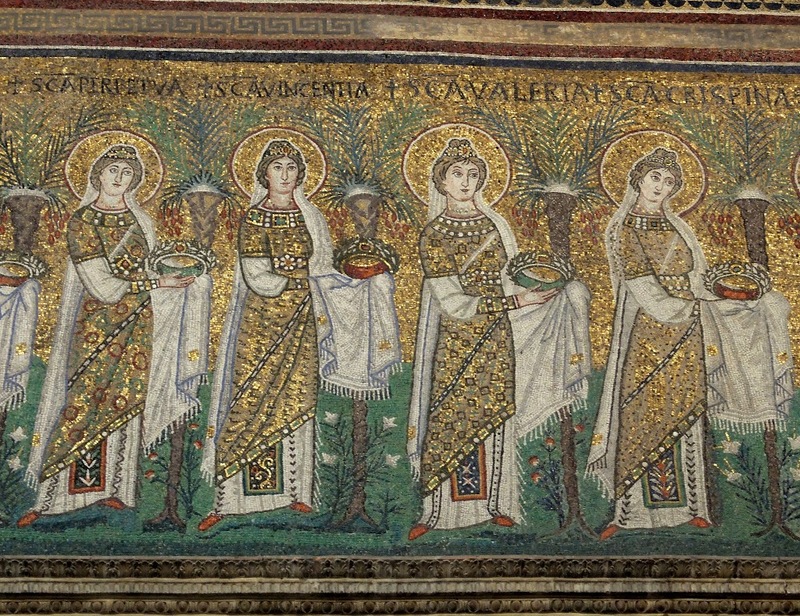 Yet the city Ravenna wears this legacy very casually – the mosaics are hidden in churches that are plain brick on the outside tucked into a very business-like and calm city. I confess I don’t find the city itself very compelling, though I’m glad to be here to see what they offer to the world no other city can match. Near the end of a long trip my thoughts always drift to home. Today I read the local news for the first time in a month. I scanned facebook for news. It occurred to me to check my bank account to make sure the bills were paid. I look on all the lost pet sites for the first time in weeks just in case – by some miracle – my lost dog turned up somewhere alive. When I return from a long trip, my home and life always seem a little different. I notice little things that need changing that I’ve lived with for years. The weeks following a long trip are always a time when I can see what’s next without the fog of routine muddling the path forward. But it always makes me sad when my thoughts leave a place before I do. And the last week of travel always passes the slowest as I slowly transition from immersing in brand new experiences every day and preparing to resume to normalcy.